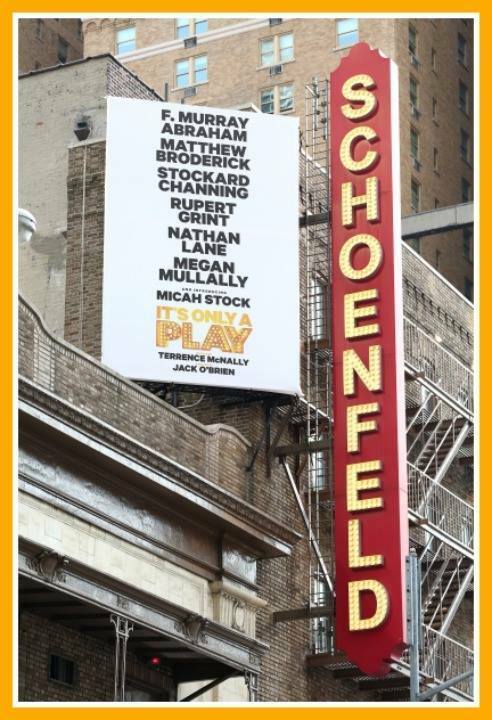 It’s Only a Play played its last performance on June 7, 2015. An all-star cast in a new comedy from Terrence McNally (Master Class, Mothers and Sons), featuring Matthew Broderick, Martin Short, F. Murray Abraham, Stockard Channing, Maulik Pancholy, Katie Finneran, and Micah Stock. Student Rush Tickets – A limited number of student rush tickets will be available during preview performances thru October 8. Limit of one ticket per customer can be purchased with valid student ID through the box office on the day of the performance. It’s Only A Play from Davenport Theatrical on Vimeo.